If you follow me on Twitter (twitter.com/bakingblog) then you know that I have been under the weather lately. When I am sick I turn to soup for comfort. 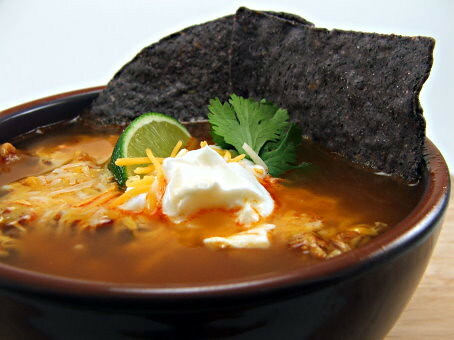 There is nothing like a bowl of hot soup to put the roses back in your cheeks. 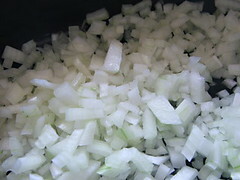 Of course, when you are sick you do not really feel like spending time stirring, mixing, or watching a pot of veggies get soft. Enter my slow cooker. It was a gift at Christmas, to replace my old one which I broke, and I love it! It meant I could spend five minutes prepping ingredients, take a long nap, and wake up to hot soup! How fantastic! 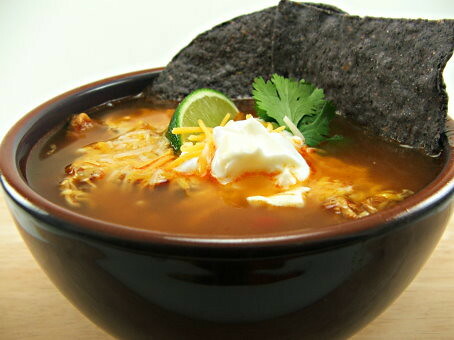 I decided upon Chicken Tortilla Soup because it is hearty, spicy, and it tastes best when slowly simmered. 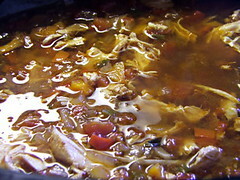 Next time you are sick, or if you just want an easy dinner, try this soup. It cures what ails you! 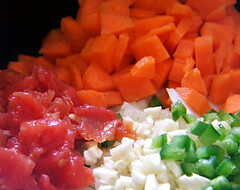 Add the chopped vegetables, spices, and broth to the slow cooker. Stir to combine. Season with salt and pepper, then add the chicken breasts. 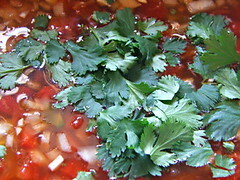 Add the chicken stock and fresh cilantro. 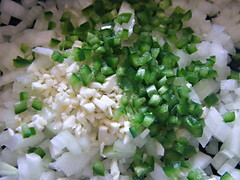 Stir to combine then cover and set the timer on your slow cooker. Cook on low for 8 hours, or high for 4 hours. 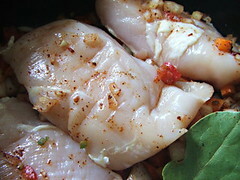 After 6 hours on low, or two hours on high, remove the chicken breasts and shred them. 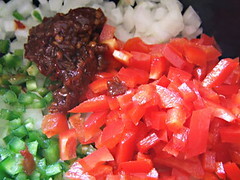 Return the meat to the pot for the remainder of the cooking time. 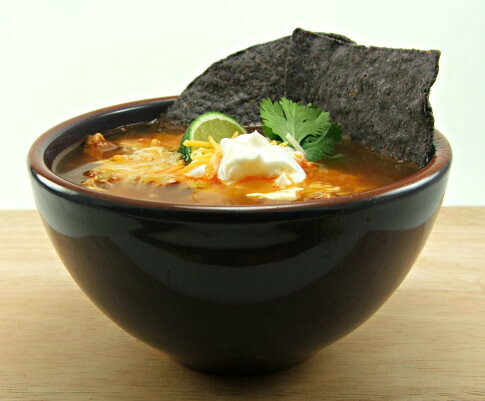 Garnish with sour cream, shredded cheese, diced avocado, cilantro, lime wedges, and tortilla chips if desired. I like my soup with them all, or ‘all the way’! This post is my first Thoughtless Thursday entry. 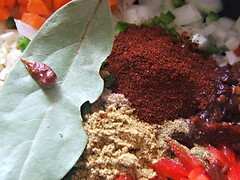 Find out more about Thoughtless Thursday at the wonderful food blog Pots and Plots!